Celebrity hunter Michael Waddell calls out singer Eric Church, who made remarks against the NRA in a Rolling Stone interview about the 2017 Las Vegas shooting. “'There are some things we can’t stop. Like the disgruntled kid who takes his dad’s shotgun and walks into a high school. But we could have stopped the guy in Vegas.'" As for why nothing’s been done? "'I blame the lobbyists. And the biggest in the gun world is the NRA.'" Church says he’s not a member of the NRA and never has been. "'I’m a Second Amendment guy,'" he emphasizes again, "'but I feel like they’ve been a bit of a roadblock. I don’t care who you are – you shouldn’t have that kind of power over elected officials. To me it’s cut-and-dried: The gun-show [loophole] would not exist if it weren’t for the NRA, so at this point in time, if I was an NRA member, I would think I had more of a problem than the solution. I would question myself real hard about what I wanted to be in the next three, four, five years.'" For many hunters, Michael Waddell hits all the right notes. He’s been an outspoken supporter of President Donald Trump and the NRA. It's not uncommon for the television personality and avid hunter to use social media to weigh in on hot-button issues in politics and mainstream news. "Things learned today. 1. 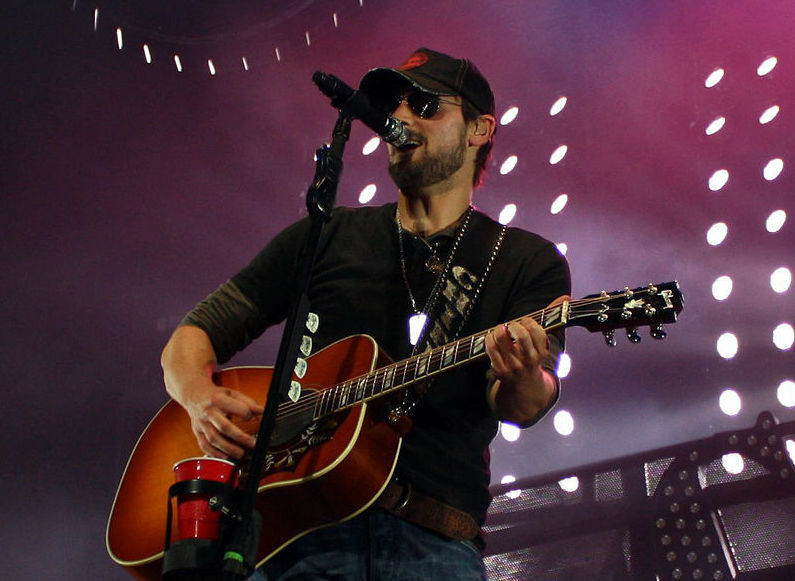 @ericchurch proved to be pretending to be country. 2. @tmkansas is one heck of a protector of his home & family thanks to the 2nd amendment & a good bumper! Hope tomorrow I learn something other than what I should have known Already!" The second thing Waddell learned, per his tweet, was in reference to a social post from Tom McMillan who stopped an intruder thanks to his 12 gauge shotgun. For many hunters, Waddell hits all the right notes. He’s been an outspoken supporter of President Donald Trump and the NRA. He's also not shy about using social media to weigh in on the hot-button political and social issues of the day. Earlier this year, he suggested those protesting the NRA Convention where adults living in their mom’s basement who could barely even make a Hot Pocket for themselves. For those unaware, the only prep a Hot Pocket requires is two minutes in the microwave. Of Waddell's most recent social posts concerning Church and his NRA comments, most hunters who chose to reply to the celebrity hunter's tweets either praised Waddell or doubled down on his chiding of Church. Jennifer Knecht of Virginia was one of only a few exceptions. She tweeted back, “1. I live in the middle of nowhere Virginia and have hunted my whole life (no game preserves either, lol) - I agree with Eric. Geography has nothing to do with it. 2. Next you'll act surprised when you find out Willie Nelson is a hippie liberal." Meanwhile celebrity Rosanne Cash, daughter of Johnny Cash, tweeted simply, "Thank you, Eric Church," along with a retweet of the posted Rolling Stone interview. Last fall, Cash wrote an op-ed for the New York Times calling on country musicians to stand up to the NRA. Others commented, ranging from a Fox News show host to a comedian known as Mudflap, rebuking the singer. Church’s comments were widely reported by news outlets including ABC News, Fox News, Esquire and the National Review, most of which offered only excerpts of the inflammatory comments directly related to the NRA. Rolling Stone magazine's cover features country music star Eric Church. The magazine's interview with Church includes the singer's widely publicized comments about the NRA. "Church rumbles over a log, and a spooked deer flees through the forest. He says some of his friends come out here to shoot trophy bucks, but he doesn’t hunt much anymore. 'There’s something different when you own the land,' he says. 'I see these guys all the time. It doesn’t seem too sporting to me. I’d rather just look at ’em.'" You can read the entire Rolling Stone interview, including Eric Church’s comments about Bernie Sanders and his recent health scare, by going here.